Just south of Lake Superior lays the heart-shaped watershed of the St. Croix River. This region embraces two states, three ecological zones, and a history that represents the significant contributions of the Upper Midwest to our nation’s development. With beginnings in cataclysm and glaciation, the watershed’s story travels a path from native homeland of the Dakota and Ojibewe nations, to fur and logging frontier, to cutover wasteland, to the conservation and recreation region we know today as a North Woods retreat. 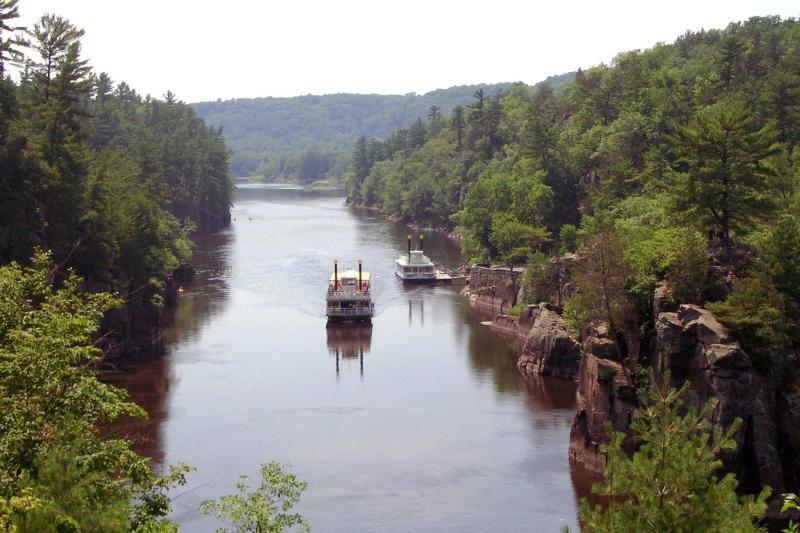 The Upper St. Croix River and its major tributary the Namekagon were among the first rivers protected under the Wild & Scenic Rivers Act of 1968; just four years later, the Lower St. Croix was protected as well. 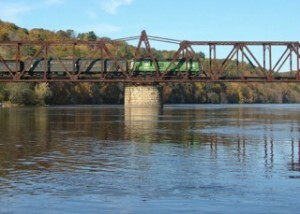 The St. Croix originates in northwestern Wisconsin and flows south 169 miles to join the Mississippi River just 20 miles southeast of St. Paul, Minnesota. It creates much of the northern boundary between Wisconsin and Minnesota. The watershed is nearly 8,000 square miles, the size of Delaware, Connecticut, and Rhode Island combined. Due to collaborative efforts led by citizens and private and public organizations, a great amount of this region is pristine and available for public use. There is a multitude of ways to experience this large landscape in all seasons. During the height of the summer canoes and kayaks join boats and anglers on the water. Cabins and resorts across the region provide timeless tourist retreats. During the winter months, fishing takes to the ice while snowmobilers and skiers take to the trails. The American Birkebeiner near Cable and Hayward, Wisconsin is now in its 41st year, fielding more than 10,000 skiers in this annual, international event. The 1,000-mile National Ice Age Trail has its western terminus in St. Croix Falls, Wisconsin. Within every small town and city in this region, there are annual ethnic festivals or celebration that help express a sense of place. What may be most remarkable about this landscape is how compromised it was just a hundred years ago by the combined impacts of a robust fur trade era and an even more robust logging era. New Deal programs restored natural resources and developed amenities for travelers. A conservation legacy unfolded that inspired some of the most well-known conservation leaders of the twentieth century, including Sigurd Olson, Gaylord Nelson, and Walter Mondale. The St. Croix River watershed area is united by common stories of the intricate relationship between people and the natural world. Among the lengthy list of natural and cultural resources present are: a National Park, a National Forest, a National Refuge, portions of two National Scenic Trails, three National Historic Landmarks, 12 State Parks, eight State Trails, six State Historic Sites, 10 State Forests, 65 State Natural Areas, more than 150 properties listed in the National Register of Historic Places, the St. Croix Scenic Byway, and resources associated with four Ojibwe bands that have tribal lands within the watershed. In 2010, a small citizen task force began considering whether or not a National Heritage Area was a good idea for this region. Late in 2011, this group, with the support of the St. Croix Valley Foundation, undertook an feasibility study to test this idea. Today they are poised to ask Congress to designate the region as a NHA (see www.stcroixheritage.org). This is a living landscape that has both withstood the test of time and is marked by human impact. (This story was created by Danette Olsen and Greg Seitz and includes excerpts from the North Woods & Waters of the St. Croix feasibility study, lead authorship Nancy Morgan and Jill Shannon).